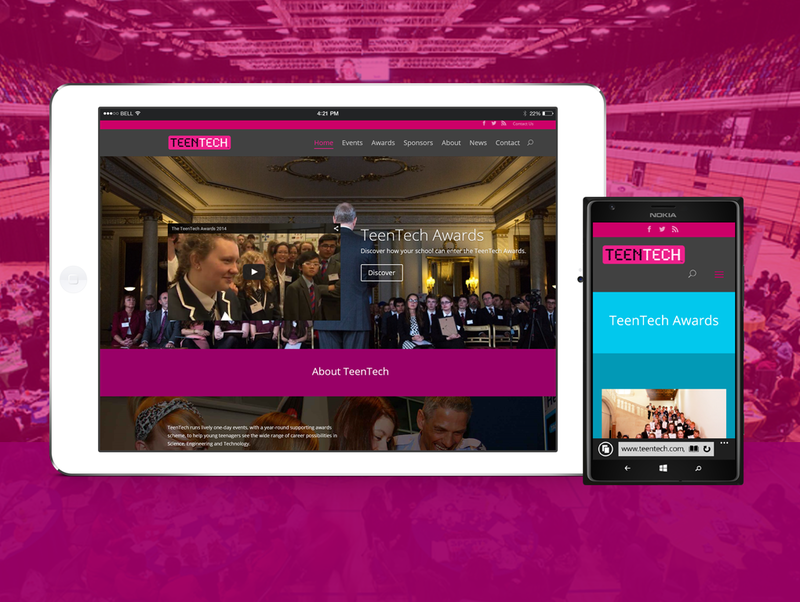 We’ve been busy over the past few months, working on a redesign for TeenTech that really captures what they are about, and showcases their evolution into an events and awards company, helping teenagers throughout the UK. TeenTech runs lively one-day events, with a year-round supporting awards scheme, to help young teenagers see the wide range of career possibilities in Science, Engineering and Technology. TeenTech events take place at venues across the UK – at each event 300 pupils from 30 different schools benefit from hands-on exhibits and challenges run by leading organisations. We have designed their new site to be bright, bold, and creative – giving them a strong visual identity (working with designer, Marc Ortmans) that they can carry across social media and their school resources. 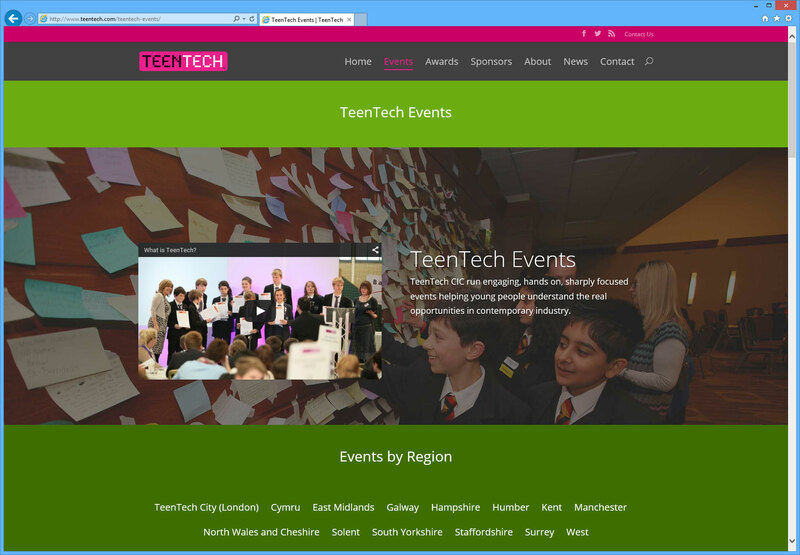 The site helps visitors get to the key areas in which they focus – the TeenTech Events, the TeenTech Awards, and their powerful collaborations with their sponsors and partners. 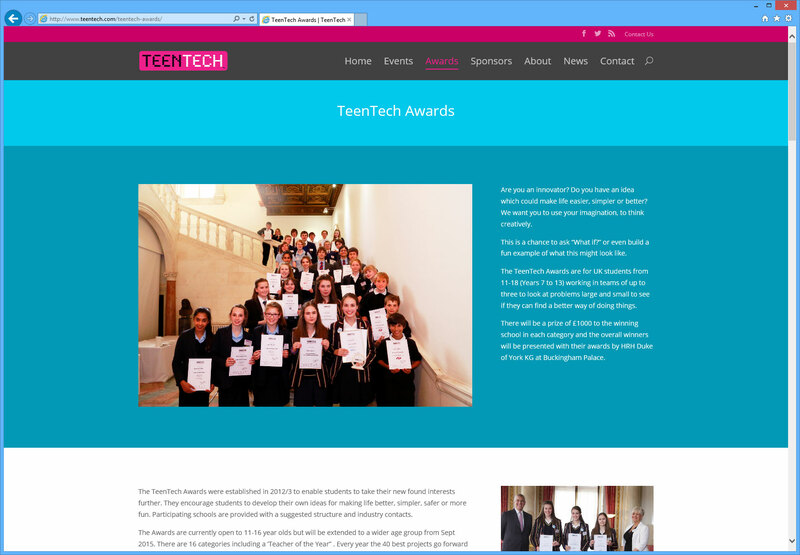 The site will be a valuable resource for those entering the TeenTech Awards and the site will grow to feature stories from past winners soon, with advice from those that have taken part. The site also focusses on the positive effect TeenTech has had throughout the UK, helping teenagers recognise their own potential, understand the skills needed in contemporary industry and encouraging them to develop their ideas. Part of the process involved building them new ways to manage their events, a showcase for their sponsors and partners to share their own stories, and building out the Awards content which – later this year – will feature the winners and their stories. We also worked to present their content in new and visual ways, including content such as Why We Do TeenTech. 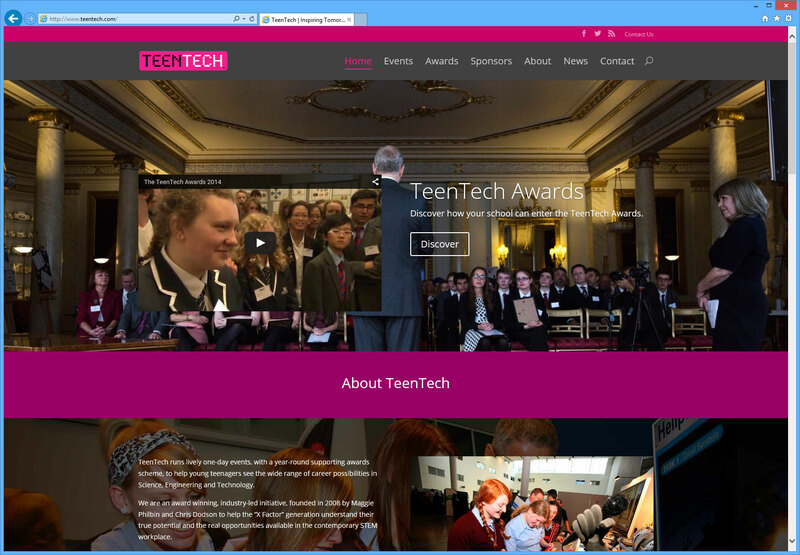 Head on over to http://www.teentech.com to see the redesign.